JJ! Always love seeing you post! These are FABulous!!!!!!! Adorable! Those celebrating kids are so sweet! I love the way you have them going around the card. Great cards! I like how you combined set elements. So creative and inspiring. Such a fab new release! Cute cards! Soooo cute!! Those kiddos are adorable! Love your cards, the last one especially. What a great new release. The Christmas tree is a fun addition. The yippee kids are darling. Really cute cards! I especially like your fun Christmas tree! Great projects! I love their products! Your cards are fabulous...adore those little kids and the interactive tree. Love your projects! The tree die is fabulous. JJ! So good to see you and your wonderful projects! Cute cards for this October release. These are so cool, love all the little kids and the dimension on the Christmas tree is awesome!! I just love these little kiddos! You colored them so well!!! Great job! These are adorably fun cards! Love how you stamped the kiddos all the way around the card with the sentiment in the center . So cute! These are such fun cards. I really like how you highlighted the kids set. It's so perfect with the tree! And the way you colored the kids on the second card is so smart: color the skin and hair, then leave the clothes white. A) It cuts down on coloring, so you can get it done sooner and B) it's just a really pretty, clean design. Thanks for sharing with us! Delightful cards! 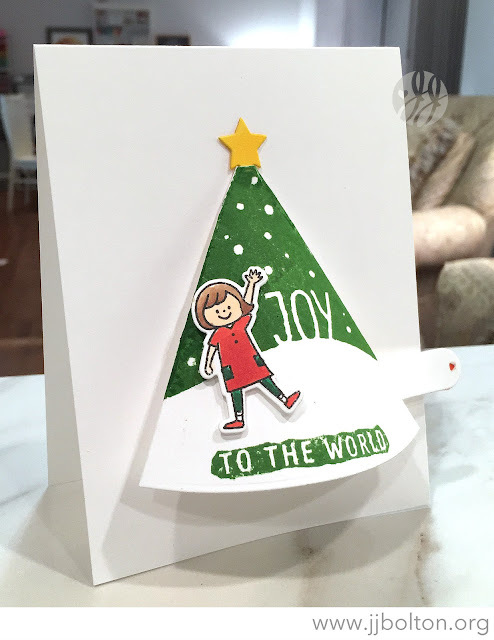 Love the tree die.... so fun that it's dimensional! And the kids are adorable! So fun cards ! I love your hooray card ! You are so talented! I always enjoy your artistic creations. Love these darling kiddos... Great release!! Wonderful release and fabulous projects!!! Love all the energy and fun! I love your cards! The Hooray card is my favorite! It has a wonderful global feel to it, and that's always an awesome thing! Love the pretty color too! Your cards are very cute!! Love the kids. Very inspirational. Your cards are so darling! This is a fun new release from Waffle Flower. Love your cards especially the multicultural yippee card. I am definitely going to have to try new products, thank you for the wonderful inspiration!!! Wonderful cards, so many examples of why we all need this release, thank you, aren't those happy children just adorable. I love your Joy to the World card using the pull-tab die. Such an innovative product! Cute cards, love the kids around the perimeter of the card! 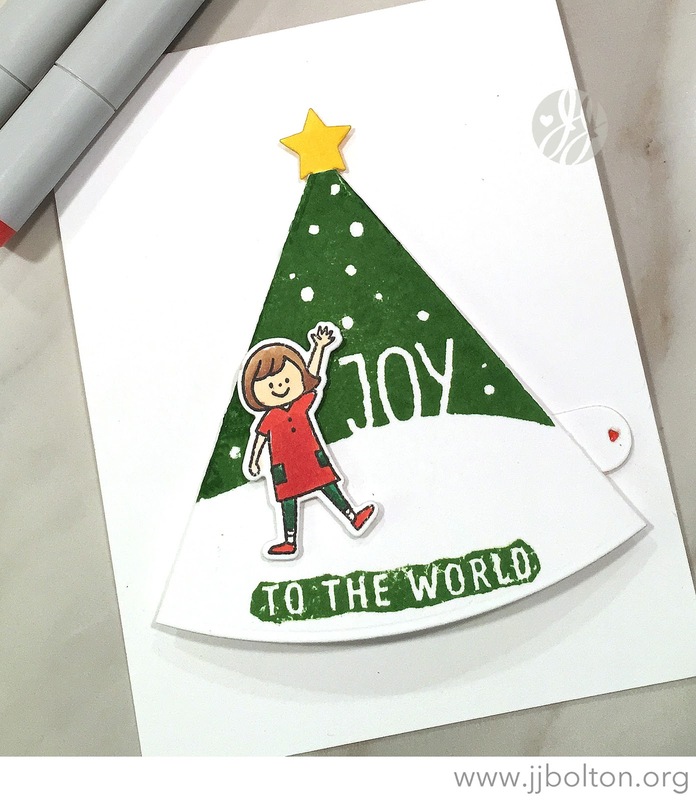 Super cute design with the pull tab tree and I love how you stamped and colored the 'Yippee' kids! Two really fun cards!!! 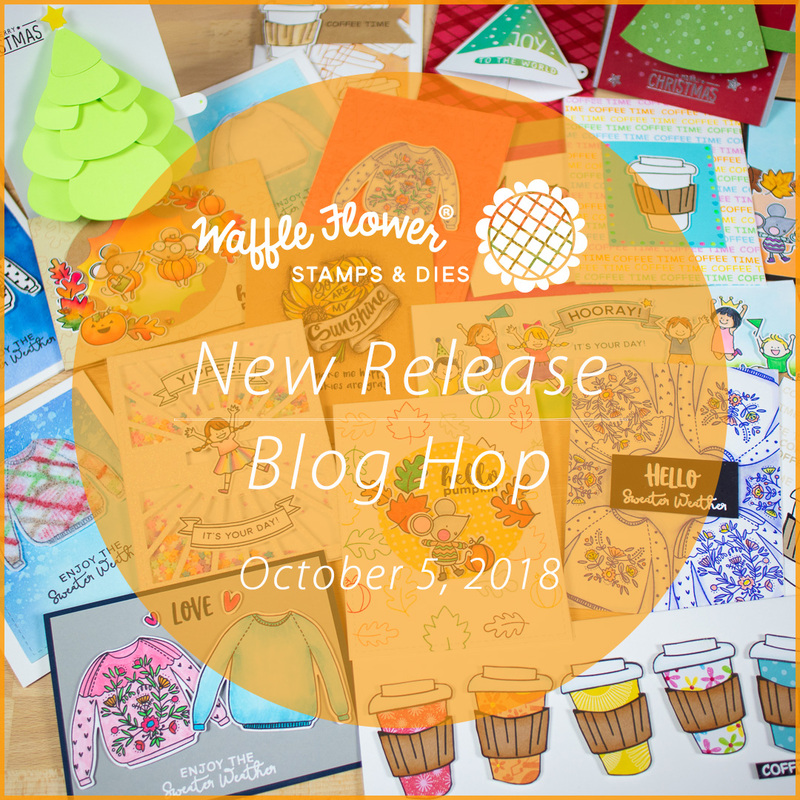 Oh what fun and happy cards! Lovely designs. Awww!!! Super super cute cards!!! I love that card with the kids all around the border! Hope your craft room is recovered! ha! things to the right place). Love how you kept the kids all in white on the second card, very clever! Both your cards are lovely! I really like how you've coloured the children on both of them.